Oh, how I wish I didn’t love pizza. While I may never look like a supermodel, I do believe if not for pizza I could actually be the weight of a supermodel. Alas, it will never happen. I will never break up with pizza, even though he is an abusive boyfriend who sometimes makes me feel very, very bad about myself. Pizza and I have a pathetic, unhealthy, codependent relationship, and I’ve made my peace with that. As you can imagine, I have tried every version of a homemade pizza crust under the sun, and I have determined that this recipe from Giada is the very best of the bunch. Giada calls this crust tender, and I think that’s the perfect description. I realize that pizza is a very personal thing. In reading the reviews, I see that not everyone loves this recipe as much as I do, but keep in mind the reviews are overwhelmingly positive. 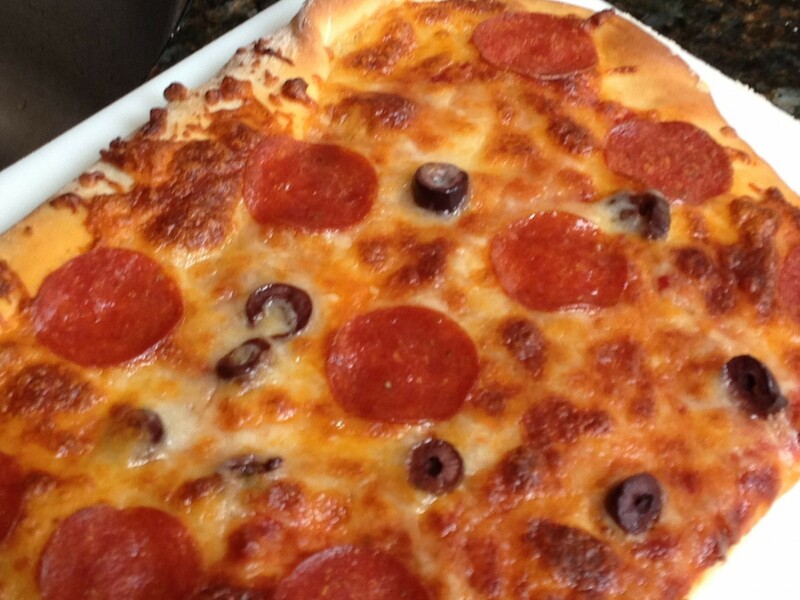 Personally, texture counts for everything in my pizza crust, and I consider it a blank canvas for my toppings. I am not looking for any strong flavors, and that seems to be the biggest criticism of the negative reviewers — not flavorful enough. To them, I say, “Try Domino’s.” Did I mention I’m also an opinionated snob? The strange part about this recipe is that it does not mention oven temperature or cooking time. On my original torn-out Bon Appétit magazine page in my binder, I have “Bake at 475 for about 15 minutes” written in pen. I am not sure where I came up with that, or why there are no instructions on the link I provided. Isn’t that strange? Anyway, I usually preheat a pizza stone, bake the dough for about five minutes, then add the toppings and put it back in the oven for another ten minutes. 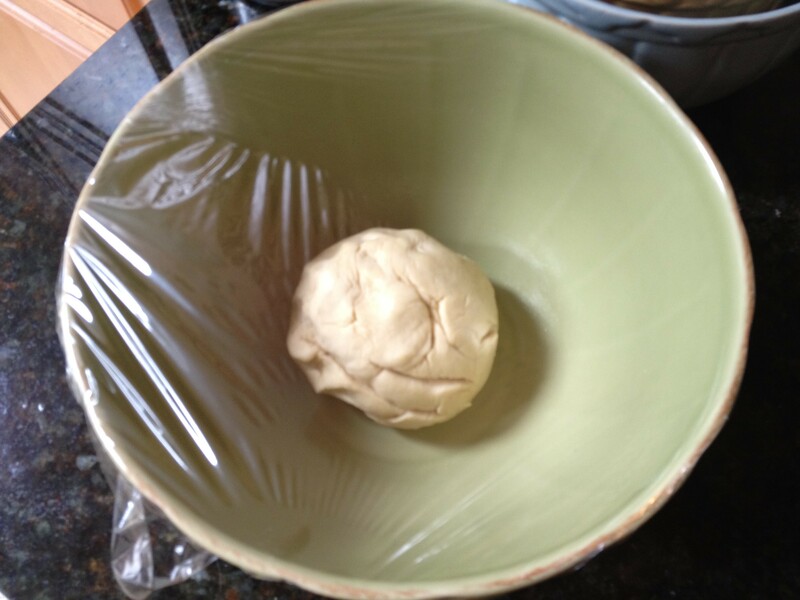 You can see how the dough has doubled in size in one hour. Now it’s ready to punch down and roll out. 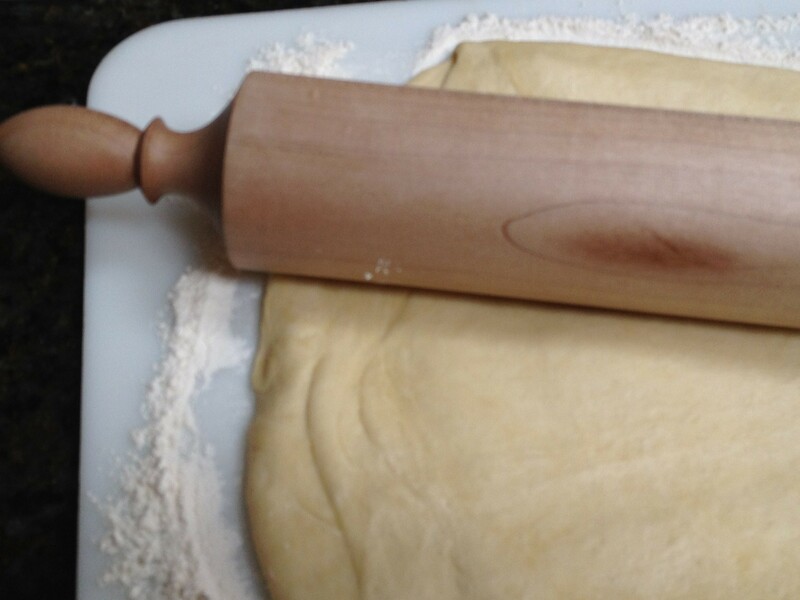 Can we please admire this beautiful maple rolling pin from Vermont Rolling Pins? Hand crafted and made in Vermont. Few things make me happier than pepperoni pizza. 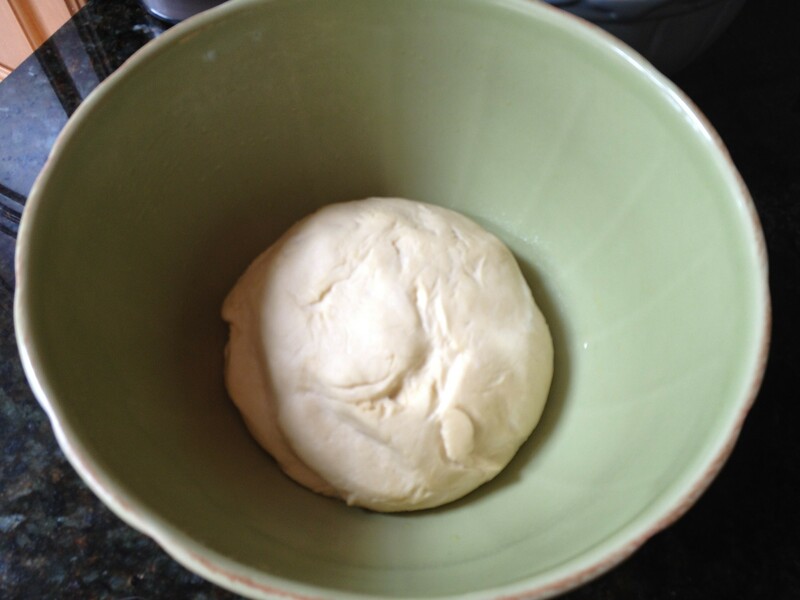 This entry was posted in Main Dish and tagged best pizza crust, best pizza dough, Giada DeLaurentiis pizza dough by Mom Mom's Apron. Bookmark the permalink. I love pizza too 🙂 Your recipe seems like a no fail, I may have to give it a try!! Hello, fellow pizza lover! Definitely let me know if you try it out. I think you will love it!